Bhopal is the capital of the state of Madhya Pradesh and has been selected under National Smart Cities program’s first round for integrated urban development. It is also known as the city of lakes after several natural and artificial lakes that dot the city. It has an estimated urban population of 2.0 million. The old city of Bhopal is home for small and medium industries covering electrical goods, medicinal products, cotton, chemicals, jewellery, flour milling, cloth weaving, painting, matches and wax manufacturing, and sporting equipment. It also houses the Bharath Heavy Electricals Limited (BHEL), which is one of the largest engineering companies in India that manufactures coal-fired power plant boilers (among many other heavy machinery). Mandideep, another industrial suburb to the south of the city, is the largest industrial area in Madhya Pradesh, with exports worth 2,300 crores per year. Industries in this estate include Hindustan Electro Graphite (HEG), Lupin Laboratories, and Eicher tractors. Bhopal is also synonymous with the Union Carbide Bhopal Disaster. In the early 80’s it was the site of one of the worst industrial disasters – a gas leal of Methyl Isocyanate at the Union Carbide plant. Like most cities in India, Bhopal does not have a reliable monitoring network (only 2 manual stations are supposed to have credible data). With multiple sources responsible for pollution in the city, the city needs to create an integrated system to deal with air pollution. 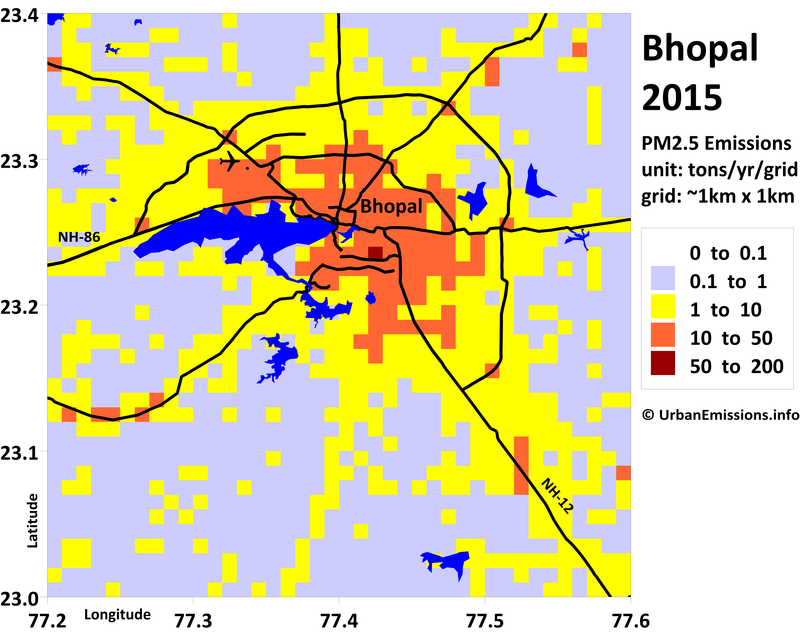 To assess Bhopal’s air quality, we selected 40km x 40km of urban airshed. This domain is further segregated into 1km grids, to study the spatial variations in the emission and the pollution loads. 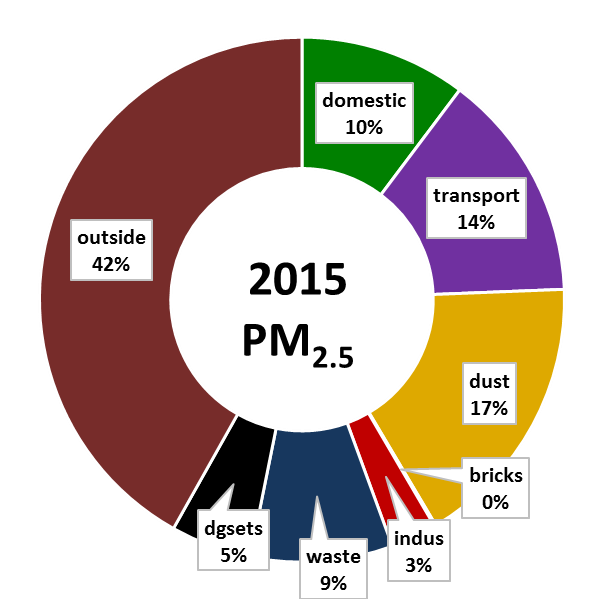 We present below a summary of the ambient monitoring data available under the National Ambient Monitoring Program (NAMP), operated and maintained by the Central Pollution Control Board (CPCB, New Delhi, India). In Bhopal, there are no continuous air monitoring stations (CAMS). There are 5 manual stations reporting data on PM10, SO2, and NO2. 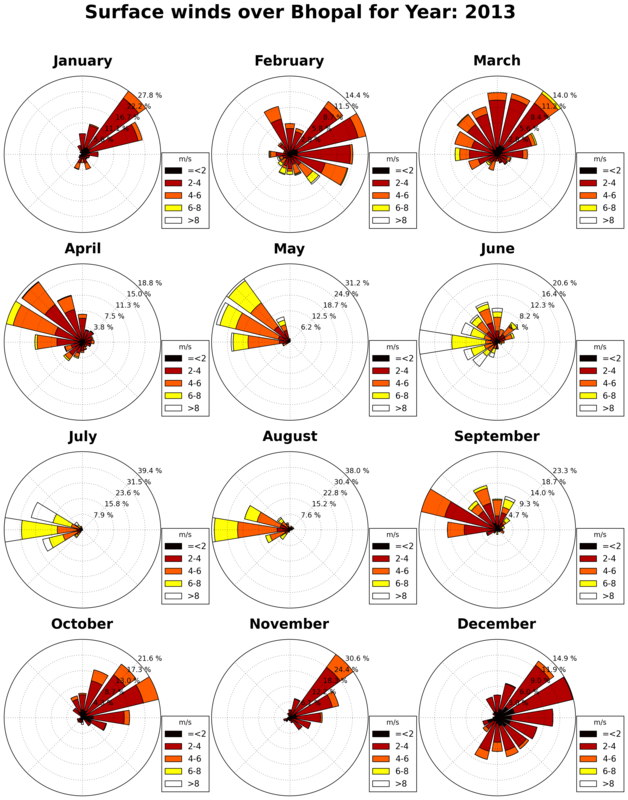 The results of satellite data derived concentrations are useful for evaluating annual trends in pollution levels and are not a proxy for on-ground monitoring networks. 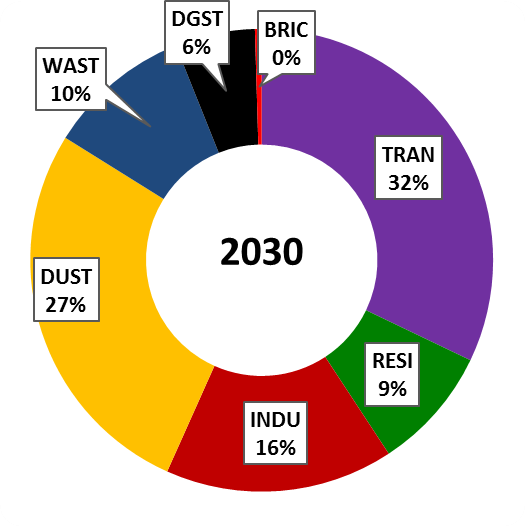 This data is estimated using satellite feeds and global chemical transport models. Satellites are not measuring one location all the time, instead, a combination of satellites provide a cache of measurements that are interpreted using global chemical transport models (GEOS-Chem) to represent the vertical mix of pollution and estimate ground-based concentrations with the help of previous ground-based measurements. 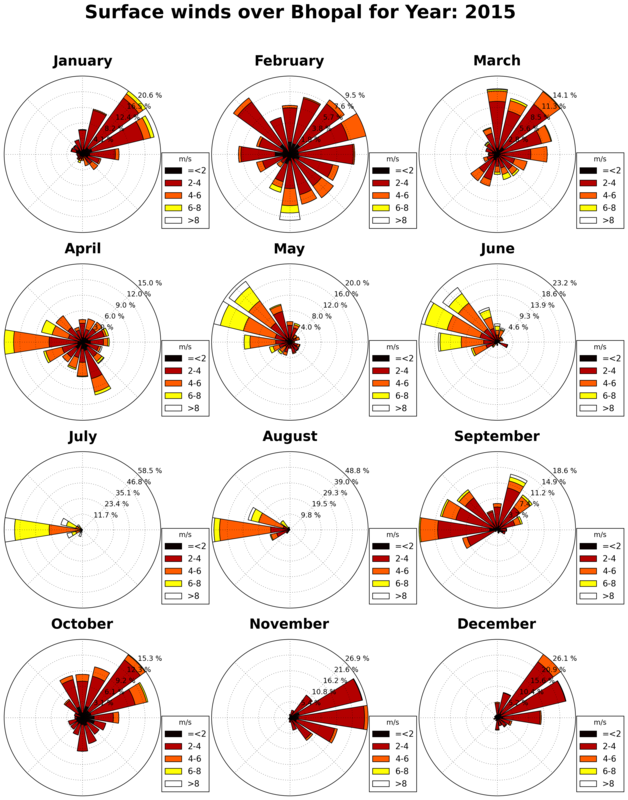 The global transport models rely on gridded emission estimates for multiple sectors to establish a relationship with satellite observations over multiple years. These databases were also used to study the global burden of disease, which estimated air pollution as the top 10 causes of premature mortality and morbidity in India. A summary of PM2.5 concentrations from this exercise, for the city of Bhopal is presented below. 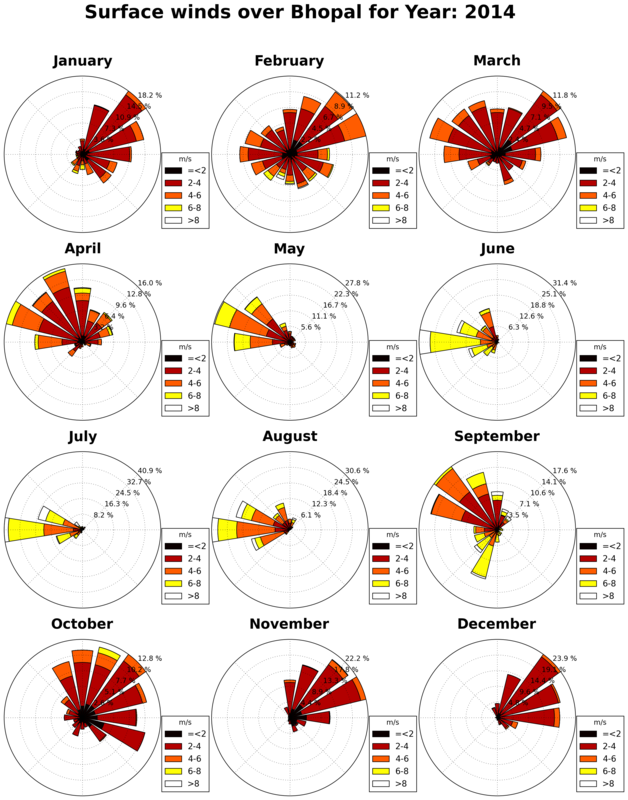 The global PM2.5 files are available for download and further analysis @ Dalhousie University. 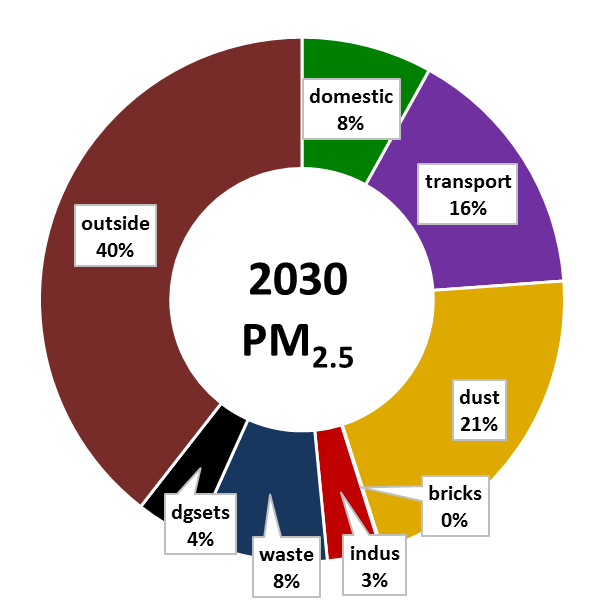 We compiled an emissions inventory for the city of Bhopal for the following pollutants – sulfur dioxide (SO2), nitrogen oxides (NOx), carbon monoxide (CO), non-methane volatile organic compounds (NMVOCs), carbon dioxide (CO2); and particulate matter (PM) in four bins (a) coarse PM with size fraction between 2.5 and 10 μm (b) fine PM with size fraction less than 2.5 μm (c) black carbon (BC) and (d) organic carbon (OC), for year 2015 and projected to 2030. 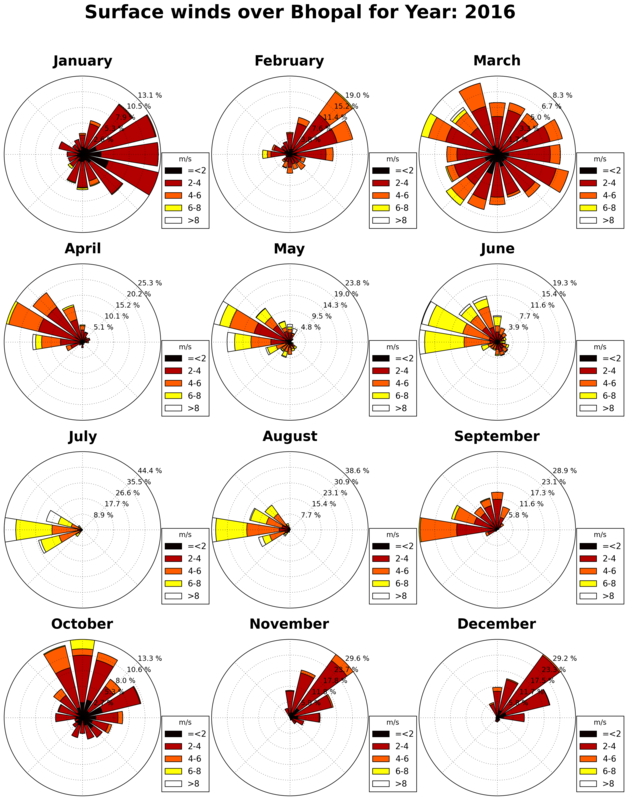 We processed the NCEP Reanalysis global meteorological fields from 2010 to 2016 through the 3D-WRF meteorological model. 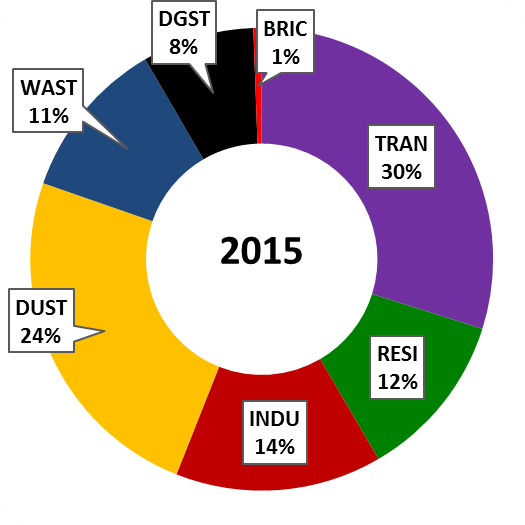 A summary of the data for year 2015, averaged for the district of bhopal is presented below. Download the processed data which includes information on year, month, day, hour, precipitation (mm/hour), mixing height (m), temperature (C), wind speed (m/sec), and wind direction (degrees) – key parameters which determine the intensity of dispersion of emissions.